This article is about the Top 5 best Mobile photo Collage App that is available for Android and iOS device. Have you been having difficulties in getting the Top mobile Photo Collage making App? 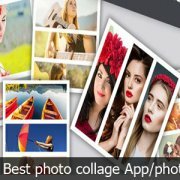 This is a golden opportunity for you because in this article you will be given the Top 5 best Photo Collage making App. Photo Collage is a collection of pictures that are joined together to make a single picture. It makes our photos to look amazing and lovely. You can make a Photo Collage within a minute all you have to do is to download the Photo collage making App that you will use. Below are the top 5 best Photo Collage App. Photo Grid is one of the best Photo Collage app available for Android and iOS device. This app enables users to turn their ordinary pictures to a stunning photo. The Photo allows you to take great looking selfies, and edit how you look using filters. Users can use the Photo Grid App to decorate their pictures using stickers, text, borders, or drawings tool. You can download the application for your Android and iOS device. Pic Collage is also one of the best photo collage apps available for Andriod and iOS device. This app enables users to edit photos using aviary. It creates impressive collages from photos, GIFs and videos. One of the advantages of the app is that it gives users the ability to search for collages created by other users. This app is available for download on Playstore, App store, and Microsoft Store. Photo Collage Maker has more than 100 predefined photo collage layouts. This Photo collage maker app allows users to create their own collage layout. It has stickers, background patterns, filters, and text that you can use to decorate your photos. It enables users to choose more 55 different fonts, change the text size, color, and style etc. Photo Collage Maker App is available for Android, iOS, and Windows device. Lipix is one of the best and popular Photo collage app. It is very easy to use and it comes with many features. The app allows users to put text to their photos and change its color. It also allows users to change the sies, and font of their photos. You can download it for your Android, and iOS device. 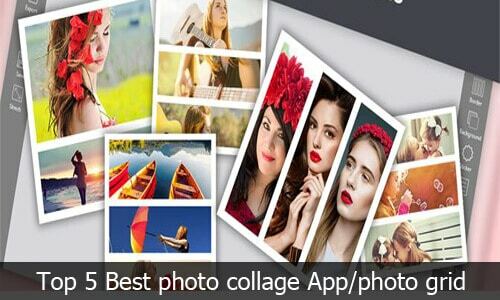 CollageIt is also one of the best photo collage app and the last on our list of the top 5 photo collage app. The CollageIt app is available for Android download and iOS device. There are tons of designs tool available on the app.